Born in Morristown, NJ, Mike Adamo began drumming on pots and pans when he was two years old. He soon switched over to a practice pad, and then a full drum set. 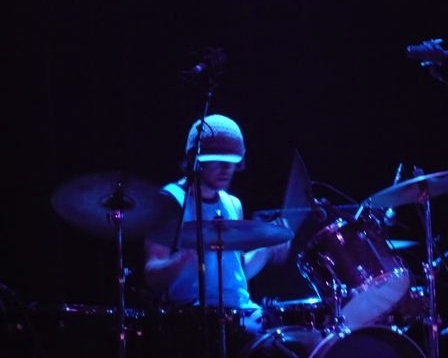 Mike went on to study rudimental technique as well as various music styles with New Jersey educators Andy Delucca and the great Joe Bergamini. To date, he has played in front of thousands of fans, at some of the biggest music festivals in the world, including the Winter X Games, the MTV Ski and Snowboard Festival, the High Sierra Music Festival, and the Telluride Blues and Brews Festival. He has shared the stage and collaborated with legends such as Bernie Worrell (P-Funk, Talking Heads), Derek Trucks (Allman Brothers, blues/rock legend), Adam Deitch (Lettuce, Breakscience, Pretty Lights Band), Johnny Rabb (drum legend), DJ Logic, Adam Theis (Jazz Mafia), and Corey Harris (blues legend), among many others. Mike is perhaps most well known for his powerful yet intricately understated drumming with the legendary rock n roll/hip hop/neo-blues band, Mama's Cookin. He has toured and recorded extensively as a founding member of the group. Through a decade of relentless touring, Mike has developed an uncanny ability to draw energy from the audience and channel it back to them ten-fold. This results in extremely kinetic performances for whatever band he is backing at the time. Mike spent years performing with various jazz big bands, as well as small combos. He has also toured with The Squirrel Hunt Blues Band. A tenure as the drummer for the musical Guys and Dolls helped round out his formative years. He went on to perform and record with Mama's Cookin (rock n roll/hip hop/neo-blues), The Funky Miracle (a tribute to New Orleans funk pioneers, The Meters), The Gravity Pimps (1960's- 1970's era funk/ soul throw-back), The Ben Fuller Band (power pop/indie rock), Peter Joseph Burtt and the King Tide (an internationally acclaimed world/blues/dub supergroup), Lo-fi 13 (dubstep/crunkstep/bangin beat duo with superstar DJ Zeb Early), The Truth Cartel (funk/jazz/fusion), The Serina Dawn Band (blues/rock), and Orenda Blue (world/spiritual). As an educator, Mike has maintained an active teaching schedule for the past decade and is listed by Modern Drummer magazine as one of the top drum instructors in the United States as chosen by drumming's global ambassador Dom Famularo. He has helped hundreds of students experience the joy of playing drums. Some of his students have gone on to successful careers as players and teachers. As an author, Mike published his first book, The Breakbeat Bible, on Hudson Music. The book presents a unique approach to the fundamentals of breakbeat drumming. It provides drummers with insight on keeping the acoustic drumset relevant in the post-modern digital age. The book has been extremely well received in the international drumming community. In addition to receiving a 5-star review in Modern Drummer magazine, it was voted 2nd place in the 2012 Modern Drummer Reader's Poll for Best Educational Book. The book's popularity is increasing exponentially as it continues to educate and inspire thousands of drummers around the world. Check out www.thebreakbeatbible.com for more info. 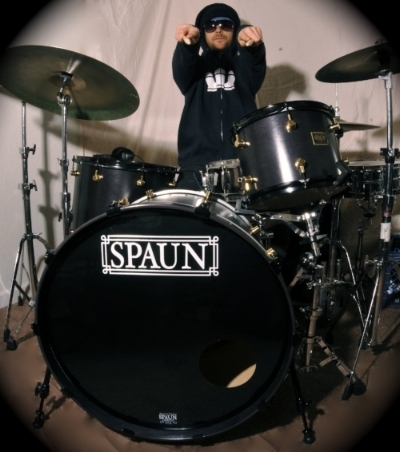 He is also a contributing writer for Modern Drummer magazine. To inquire about private lessons, Skype/Google Hangout/Facetime lessons, studio bookings, clinic bookings, or music/beat production, click the link below.